Popularly known as the northern beaches of Cairns, Palm Cove has grown up as a favorite tourist destination for many travelers. It is a cloistered ‘coastal community’ with palm trees lining the white sand beach where you can take a peaceful stroll. The resorts and villas are available to stay by. Hopefully you won’t flinch at the expense if the place is as beautiful as heaven. How popular is Palm Cove, Queensland? People normally club together Tjapukai Aboriginal Cultural Park and Cairns Tropical Zoo while planning their visit to Palm Cove, Queensland. 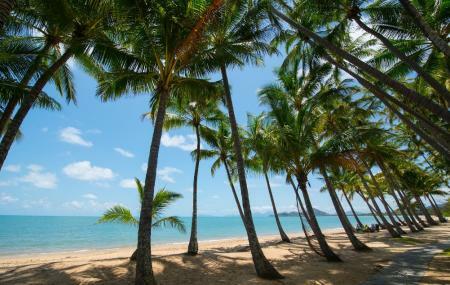 People also prefer to end their day with Palm Cove, Queensland.